Thanks in large part to the work of Nick Carbó, Filipino American poetry has never been as dynamic as it is today, with many established voices continuing to lead the movement such as Barbara Jane Reyes, Oliver de la Paz, Joseph O. Legaspi, Sarah Gambito, Vince Gotera, Eileen Tabios, and new, emerging voices like Chris Santiago, Jean Vengua, Mike Maniquiz, Sasha Pimentel, Jon Pineda, Arlene Biala, Ivy Alvarez, Cristina Querrer, Patrick Rosal, JoAnn Balingit, Marlon Unas Esguerra, Tony Robles, and Michelle Bautista. Carbó has published four volumes of poetry (El Grupo McDonalds; Secret Asian Man; Andalusian Dawn; and Chinese, Japanese, What are These? 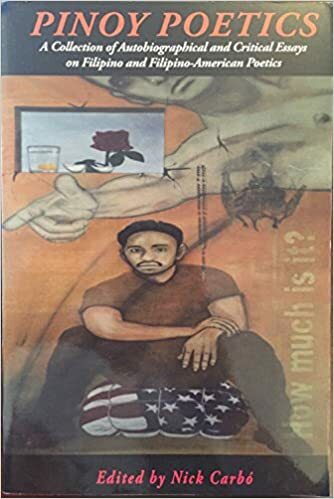 ), edited several anthologies, (most notably anthologies on Filipino American poetry Returning a Borrowed Tongue and Pinoy Poetics), as well as co-edited Babaylan, an anthology of Filipina and Filipina American writers, with Eileen Tabios. That he seems to have devoted equal (or perhaps even greater) time and effort to promoting and nurturing Filipino American talent as he has to producing his own poetry speaks volumes about his larger view of the art form as community work as opposed to mere individual endeavor: "[T]he necessity of publishing more Filipino-related material for a world where there was no previous representation takes over the creative impulse. If Filipino literature does not succeed, my own poems will have little worth without the accompaniment of my fellow writers," he has said in an interview with Elisabetta Marino. When I asked him to elaborate on his statement during our own interview, he continued to view himself primarily as a mentor: "Isn't it the job of the teacher to inspire and mentor? I believe in the raison d'être of organizations like Cave Canem and Kundiman that foster the talents of poets of color ... experiencing this belonging with a bunch of poets that look like you can be mind-blowing." One could argue that "mind-blowing" is the best way to describe Carbó 's contributions to poetry and the effects he's had upon countless fledgling writers, this writer included. Carbó's Introduction to Pinoy Poetics taught me to believe that, I, too, had something to write from, that my own experiences as a Filipino immigrant to the U.S. were rich mines for producing literature. I realized, furthermore, that what had previously restrained me from writing sooner was the dearth of mainstream recognition afforded to Filipino authors, and even more so, the predominantly Anglo-centric education system that allowed me to encounter only one or two Filipino writers throughout my formal education. One particular sentence repeatedly resounds in my memory when I think of how I became a writer -- as Carbó writes in the Pinoy Poetics Introduction: "When one sees himself/herself in a respected work of literature, it is a powerful and validating moment." I can still vividly remember reading that sentence when I was 28 years old, the summer right before I braved my first-ever poetry seminar through an adult continuing studies program. Carbó's work, his words, were exactly that "validating moment" that changed my life, my purpose, and how I would come to view myself as a writer. I can only imagine the countless other writers he's inspired, the writers who will go on to inspire generations of poets to come. Carbó experienced an international upbringing across three continents as the Philippine-born child of an adoptive Spanish father and adoptive Greek mother, both of whom often spent time in the United States. He traces his poetic origins to his father's love of poets from the Golden Age of Spain like Francisco de Quevedo, Luis de Gongora and Gustavo Adolfo Becquer, although Carbó's earliest poems very much centered upon Filipino history and culture. His first serious poem, for instance, "was about the assassination of dictator-Marcos dissident Benigno Aquino, Jr. in the early 1980s" which caught the attention of his father's childhood friend, the poet Rafael Zulueta da Costa, who then encouraged the young Carbó to pursue poetry writing. "Perhaps it is that book of poems by Zulueta da Costa that laid the foundation of the politics in my poems," Carbó says. "'Not yet, Rizal, Not yet' is a cry I took to heart,” Carbó says about his first mentor's homage to the Philippines' national hero, José Rizal. After completing a Masters of Fine Arts at Sarah Lawrence and a doctorate in poetry from the University of Manchester, Carbó went on to publish in prestigious literary journals (such as POETRY, Triquarterly, and Crab Orchard Review), be awarded numerous fellowships (among them the NEA and the New York Foundation of the Arts), be invited to international residencies (such as Spain's Fundacíon Valparaiso and Switzerland's Le Chataeu de Lavigny), and gain teaching positions (at Rutgers University, Hofstra, and University of Iowa, among many others). Although the speakers' voices and tonal registers vary in Carbó's poems, irony in all its various forms is a persistent force in Carbó's oeuvre, especially in his first two volumes, El Grupo McDonalds (1995) and Secret Asian Man (2004). In both works, Carbó marshals the incongruities that characterize the various social realities and contexts of the hyphenated Filipino in order to question and assess the legacies of colonization and imperialism. Divided into three main sections, El Grupo McDonalds' poems are saturated in memories that span from the speaker's childhood to his maturity and eventual awakening to a Filipino and cosmopolitan political awareness. Many poems present tableaus of everyday life that juxtapose conflicting and conflicted experiences, events and realities. The unlikely amalgamations of characters and occurrences often result an implosive metaphysical recognition about the dynamics of power and injustice. In El Grupo McDonald's, characters from different walks of life closely interact -- estranged family members from different economic and social groups, traditional healers, prostitutes, politicians, servants and so forth – and all find themselves somehow dependent on each other. Carbó’s poems also closely examine and compare key events in Philippine history , including the December 1989 Coup d'Etat, the assassination of Aquino and the shutting down of U.S. bases and departure of American soldiers. Each new incongruous juxtaposition in El Grupo's poems exposes and criticizes the prevalent and oppressive construction of social divides, and in turn, dares to imagine and suggest more just and compassionate alternatives. looking to harvest what makes him happy. like his Isneg cousins in Aklan. American but with a Filipino flare. Andalusian Dawn (2004), Carbó's third poetry volume, marks a departure from the irony of his previous works. Written during a series of writing residencies in Mojácar, Spain, the more meditative poems in Andalusian Dawn expose a more sensual, lyrical side to Carbó's skills as they demonstrate the ways in which the speaker's discoveries and experiences of the landscape inspire him to see and observe with a clearer, keener eye. The speaker's powers of perception, further sharpened and awakened in finding himself amid new territory, not only take in the Andalusian surroundings and its myths, songs and rhythms, but also turn inward to grow a more self-aware consciousness both of his existence and his writing process. In his most recent poetry book, Chinese, Japanese, What Are These? (2009), Carbó's sharp sense of ironic wit returns full force as he juxtaposes notions of descent and origin against displays of transgressive cosmopolitanism and eroticism. 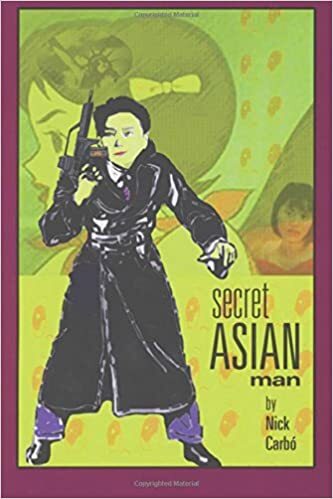 The volume's title, while seeming to signal a response to the question of "what is Asian-ness," actually mocks the very idea that such a response could, in fact, ever be possible. Through the worldly poems that follow which are heavily influenced by Continental philosophy and poetry (from Saussure to Rilke), it seems as if Carbó, in removing the "Asian" person from his or her stereotypical or clichéd contexts (whether of Orientalized bamboo landscapes or what have you) and placing him or her in European settings, attempts to undermine the very idea of borders and boundaries as they relate to shaping one's own individual identity. In other words, "selfhood," Carbó seems to be demonstrating, is an expansive and multifaceted thing, which, ultimately, eludes labels or limitations. These days, Carbó is expanding from written poetry into "the realm of visual poetry, film poetry and inter-media poetry" and hopes to soon produce a feature-length film poem ("70mm with surround sound and paid actors"). Carbó, however, continues to be driven by mentoring writers who will continue enriching literature by Filipinos and writers of color: "What excites me most is the creation and continued success of organizations like Kundiman. What may have been a doubly isolating experience of being a writer in America is less so, if you seek community." When asked about what advice he would give to aspiring writers, he says: "[F]all in love with the act of writing and find the never-ending joy of the act of reading. Don't restrict yourself to reading poetry books -- read novels, plays, essays, detective novels, comic books, science fiction, even erotica. Watch foreign films, go to the opera, attend a symphony -- anything can inspire poetry and the more details you include, the better."